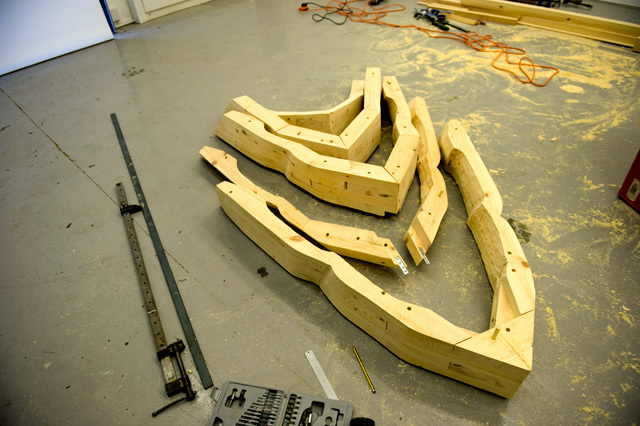 Chariot is a project that originated from a dream the artist had when she had been invited for breakfast at the Serpentine Gallery and overslept. 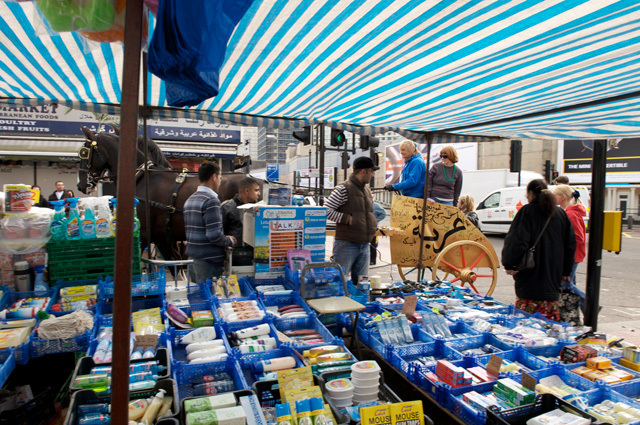 The dream image was of a small, two-wheel horse-drawn vehicle, a bit lost amid the heavy traffic of Edgware Road. 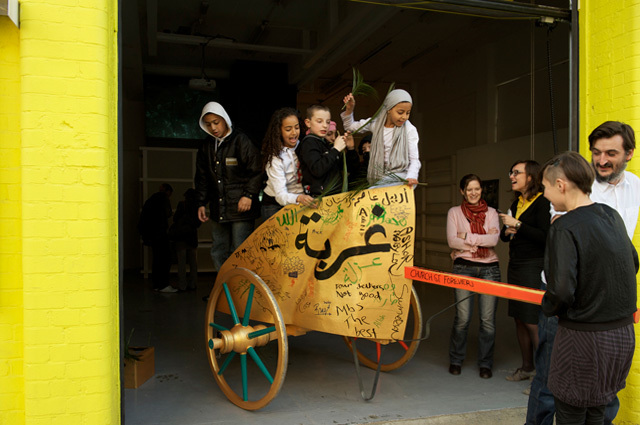 The project consisted in materialising the dream: building a chariot, inventing its contemporary formula without copying a specific historical model; then handing it over for use to the residents of a neighbourhood near Edgware Road in London. The chariot was carved in solid wood by the artist's partner and herself and then painted gold with orange/red and turquoise elements so that it could blend in with the scenery of the London street. Then, at Rajkowska's request, Hiwa K, a Kurdish artist from Iraq, put two inscriptions onto it: عربة which means 'chariot', and غربة, which means 'estrangement'. In Arabic, the two words differ by just a single dot. Hiwa's gesture became an encouragement for others to put inscriptions on the chariot and soon the vehicle became a screen for political fantasies, goals and frustrations. 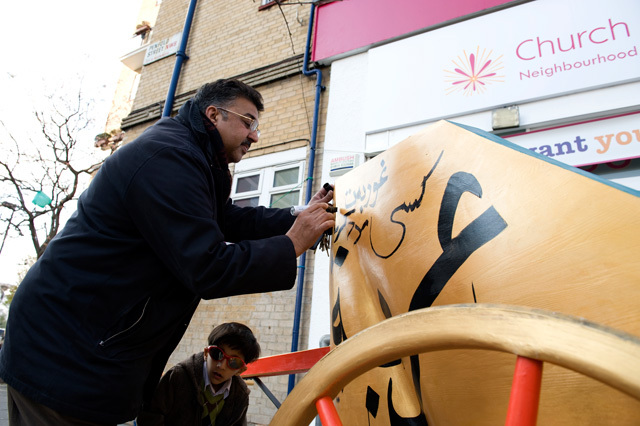 Since the Edgware Road area is inhabited chiefly by immigrants from the Middle East and Asia, most of the inscriptions on the chariot were in Kurdish, Arabic and Urdu. There were some disputes regarding the meaning of some contributions but most were applauded. Interestingly, the mobile chariot became a medium for slogans concerning places such as Kurdistan, Sulaymaniyah or the London borough of the postcode NW8. Children used the chariot for rides. 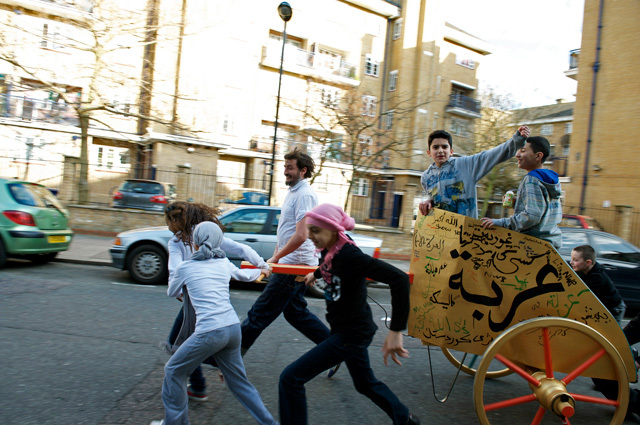 On 20 April 2010, the political graffiti-covered chariot, drawn by two horses, made its first (and probably last), slightly ironic, triumphant procession around the area. Chariot featured in the exhibition Estrangement at The Showroom. Its appearance at the gallery involved the necessity of translating both the process of its construction and its street life for the purposes of the exhibition. The map formula proved most effective. 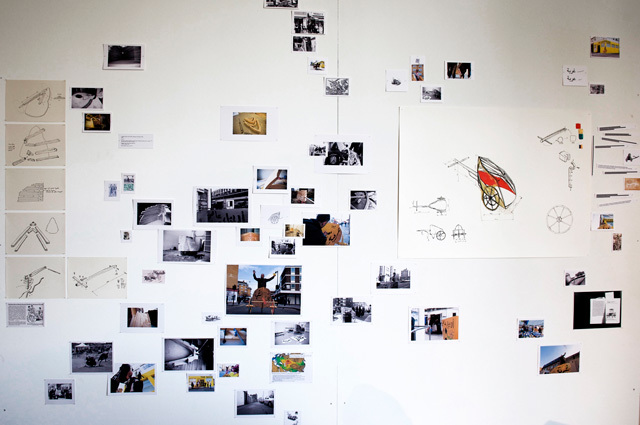 A designated gallery wall started filling with small photographs, drawings, sketches and chariot images collected during the project's research stage. 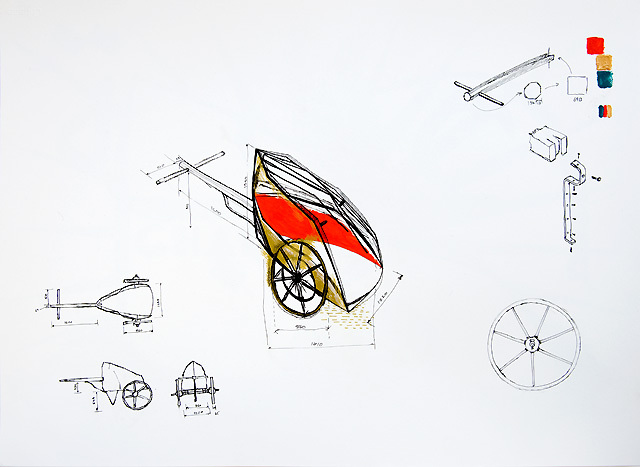 Among them were representations of a British chariot (with blades at the wheels), an ostrich-drawn chariot, a photocopy from the chapter of Deleuze's A Thousand Plateaus on the war machine, an illustration showing Napoleon on a chariot during a triumphal procession, a chariot drawn by a lion and a wild boar, an excerpt from the Greek myth about Erichthonius, the Attic hero who invented the chariot to hide his ugly feet that resembled dragon's feet, and a map of the expansion of chariot culture from Asia Minor to the British Isles. This project is part of POLSKA! YEAR, the additional financial support for the project has been provided by Adam Mickiewicz Institute and the Polish Cultural Institute. THE SHOWROOM is supported by Arts Council England and members of the gallery's Supporters Scheme. Curators: Aneta Szyłak and Hiwa K.